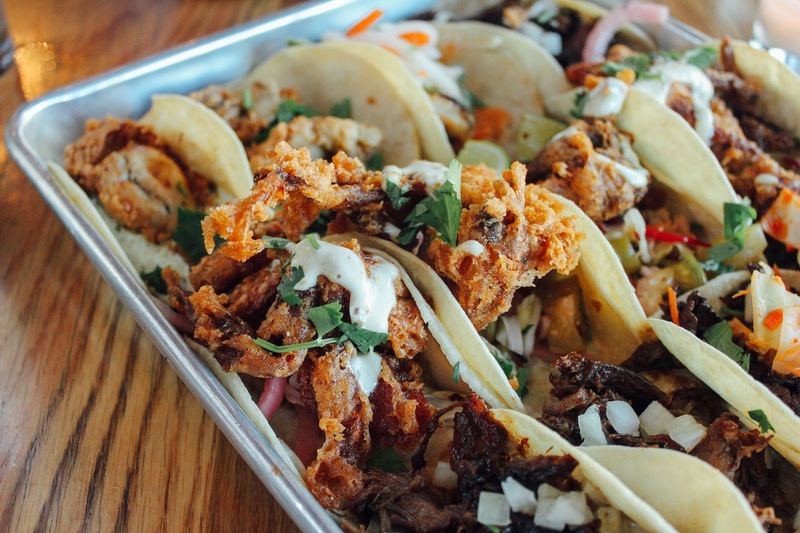 Just when you thought Bartaco had it all, they released their tenth #bartacosecret taco. It's a total game changer. They've brought out all of the summer flavor with their new Crispy Soft-Shell Crab taco! It's tempura battered and placed atop a tomatillo chow chow, then drizzled with lemon aioli. Need I say more? 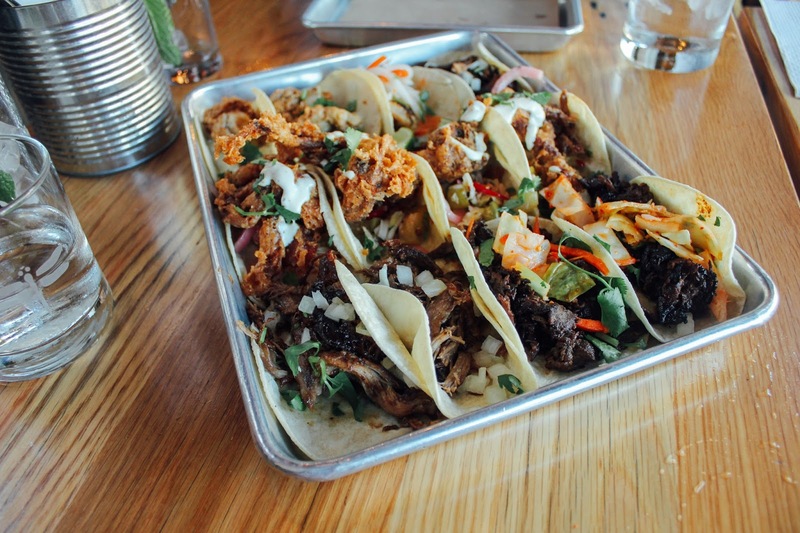 L and I stopped by Bartaco last weekend to try out their new secret taco - be sure to try at least one if you stop by! 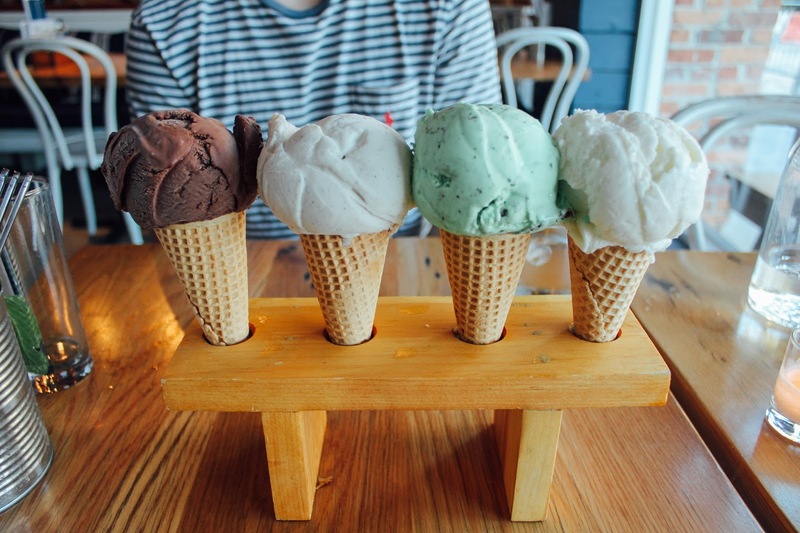 We couldn't help but order some of our favorites including their mint lemonade (SO good), our no-fail taco trio (duck, ribeye and oyster), and we tried our their four cones for dessert for the first time (chocolate, vanilla, mint chip and coconut). Let's just say there weren't any leftovers to take home. Now I'm not a huge crab person - not that I don't like the taste, I just normally will order other things instead. But, this taco was absolutely delicious! It tasted so fresh that I had to savor every last bite. 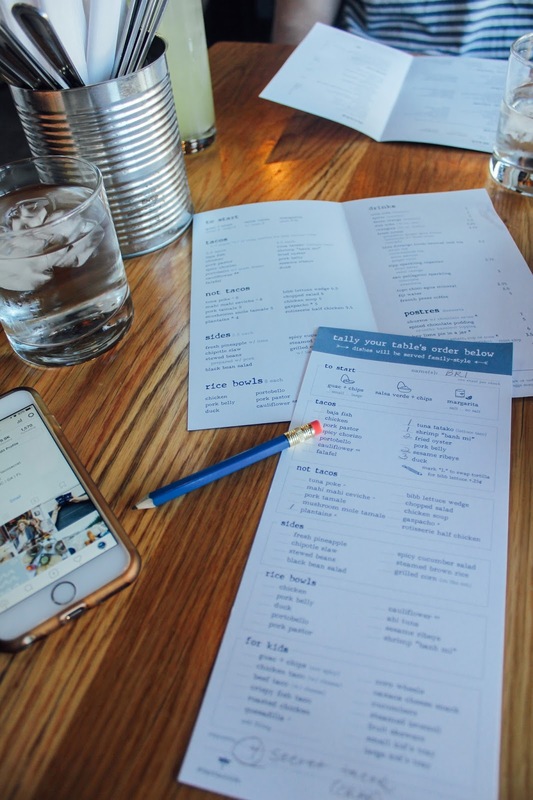 Of course, Bartaco was the perfect ending to our weekend. Special thanks to the Bartaco team for letting us come out and give this new taco a try! If you haven't tasted it yet - RUN to your nearest Bartaco. Until the next yummy adventure. Special thanks to Bartaco for sponsoring this post. All opinions are my own. Well, now I'm hungry! 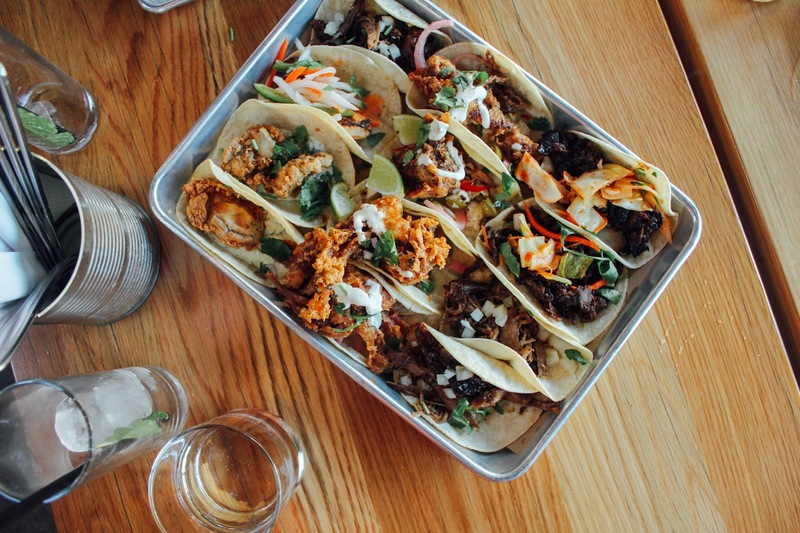 This all looks so good, and that secret taco sounds DELICIOUS! I may just have to stop in to Bartaco in Atlanta this weekend. Tacos are seriously the best! This looks so good!